One in three GTA university students are commuting for two hours or more daily, according to recent findings by StudentMoveTO. “Transportation is directly impacting the educational experience of students,” said University of Toronto associate professor of geography Matti Siemiatycki, a lead researcher. They’re potentially missing out on learning opportunities occurring “at times that are not convenient for them. By not coming to campus as frequently, they may also be missing out on the extracurricular activities that enhance the university experience,” Siemiatycki said. The findings are the result of a joint survey launched in September 2015 by four universities: OCAD, Ryerson, York, and U of T.
The majority of trips were made on foot, bike, or transit; 15,226 students took part. 1 in 3 respondents or 33 per cent of those who filled out the survey spend two hours or more per day traveling to and from campus. 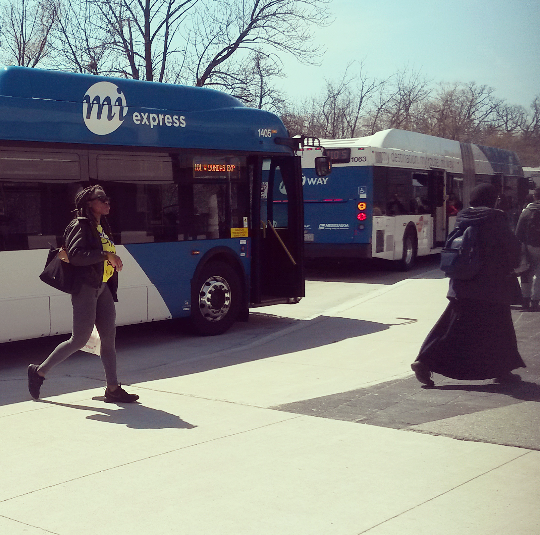 On average, it takes students 40 minutes one way to get to campus. 1 in 4 students live 20 km or more from school. Students attending the GTA’s four universities make up more than 184,000 commuters, traveling daily to and from school, work, social activities, then returning home. The data will be used to help city planners better include the needs of students in transportation blueprints and services.